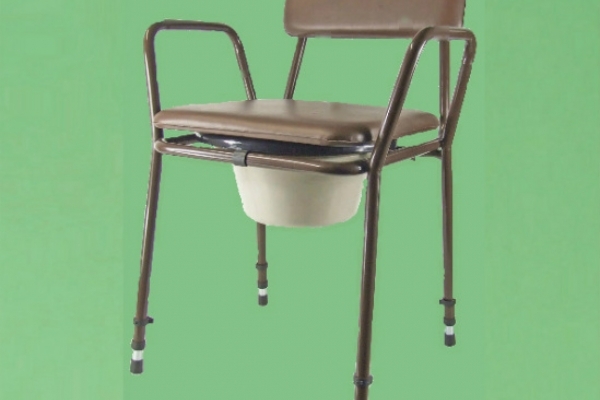 The Seine Child Shower and Commode Chair can be used as a commode, it is built in a way that it can not only be used as an over WC seat, but also as a shower chair. 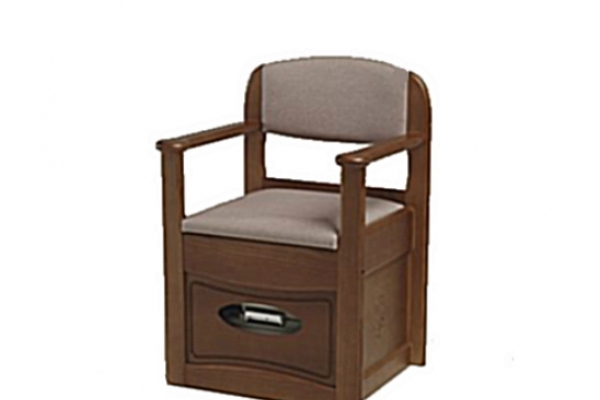 Features a detachable tubular metal base. 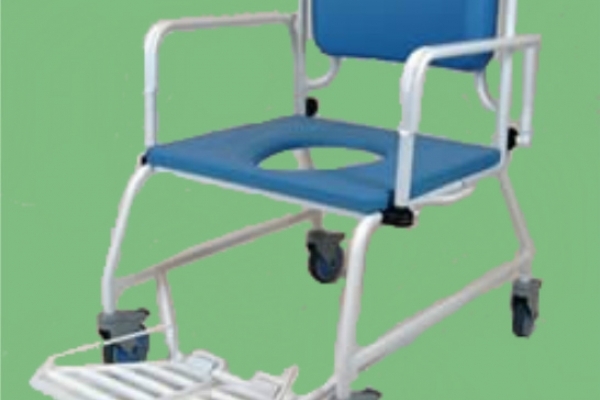 The Danube Shower Chair can be used as a commode, it is built in a way that it can also be used as a shower chair. 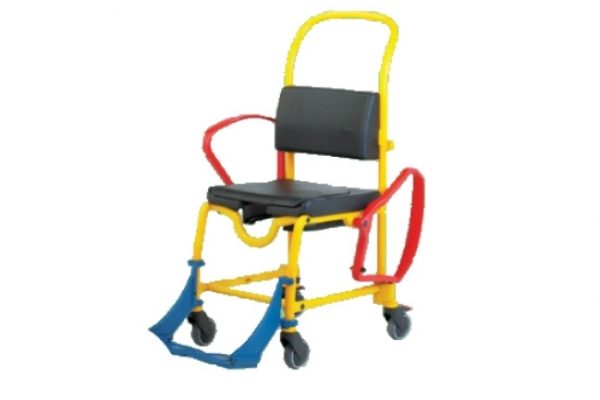 Features a tubular metal frame. 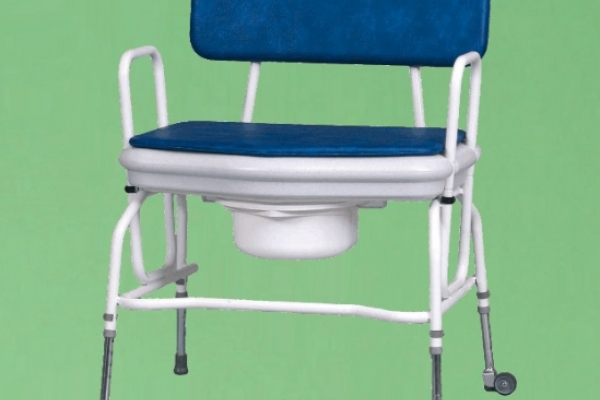 The Eden Child Shower Commode is built for the needs of a child, with a 'U' shaped frame and mesh backrest, chest strap and headblocks. 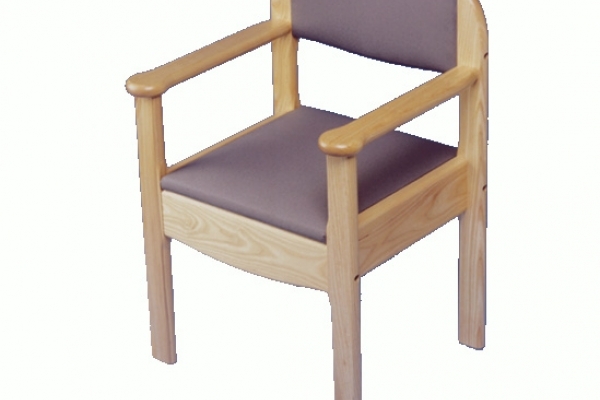 It can also be a larger chair, but with a low back and chest strap only. 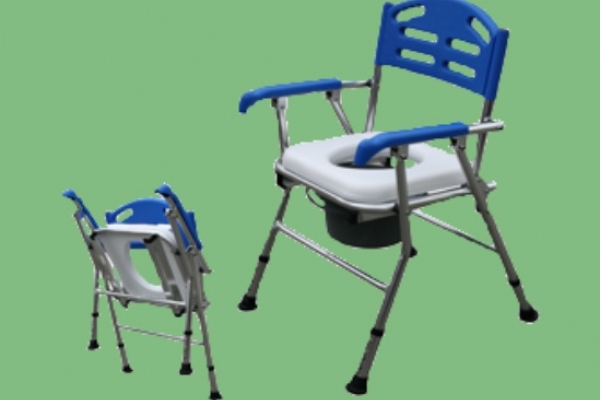 The Clyde Shower-Toileting Chair is a PVC Shower Commode with a high back and a foldable mechanism for easy portability. 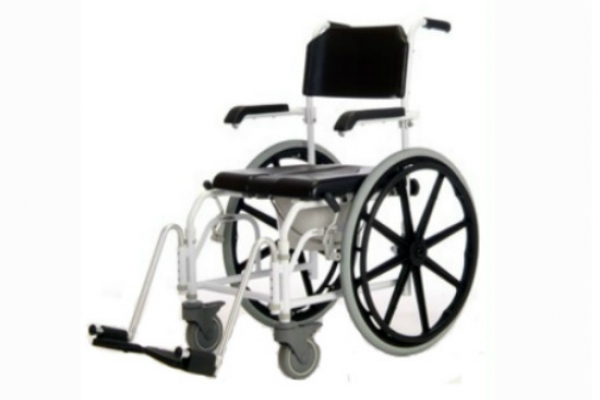 It comes complete with 4" deluxe castors with locks for safety. 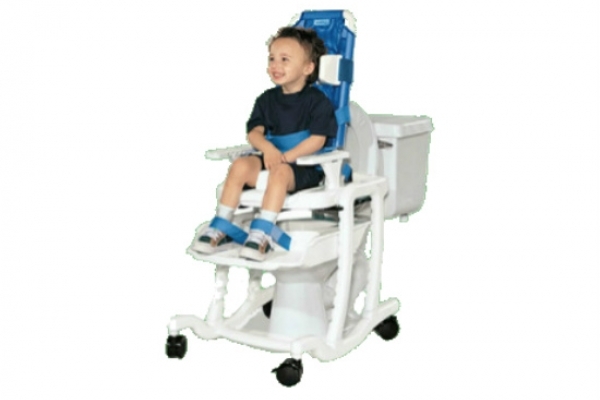 The Ribble Child Shower Commode is built for the needs of a child. 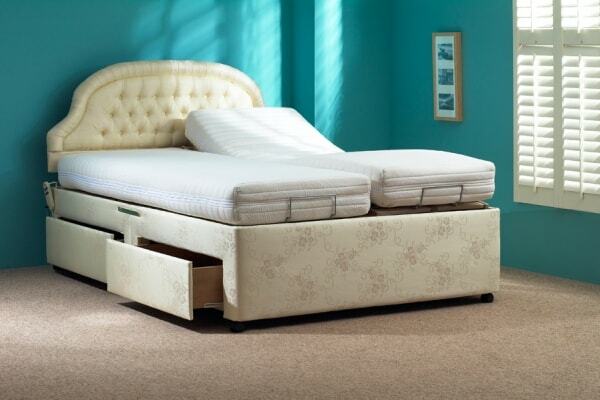 It is brightly coloured, very durable and can be adjusted to suit a wide range of heights and sizes. Max Weight 100kg. 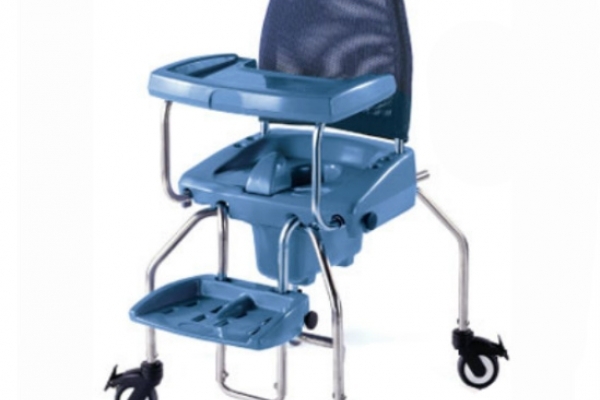 Avon Stacking commode in Blue, features adjustable height padded seat for comfort. Detachable arms are optional. 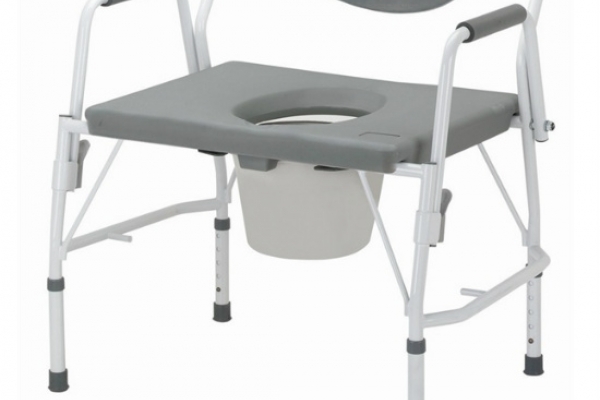 The Roeburn Travel Commode is a portable folding chair that features a detachable bucket. It is also height adjustable. This beautiful commode chair will not look out of place in a bedroom or living room with its Beech frame and Dusty Pink upholstery. 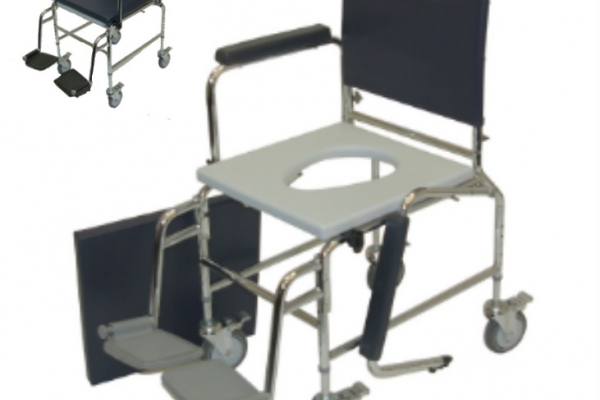 The Dean Commode is a modern, good-looking, practical design with an optional high or low back, detachable plastic tray, easy to remove seat and wide extended arms for added comfort. 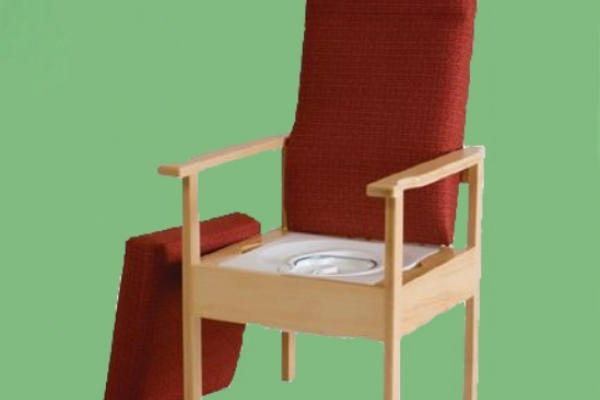 Royal Flushing Armchair Commode (Mersey) is a grand chair built from polished hardwood, and offers a push button to flush, an easy to remove reservoir, and chemicals break down the solids to trap unpleasant odours. 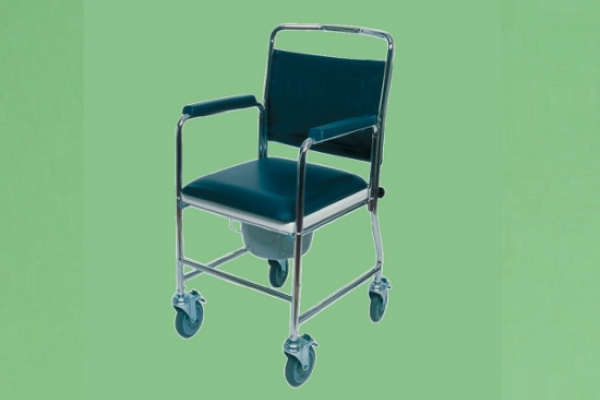 The Medway Self Propelled Commode allows independent use, while providing brakes on the castors for additional safety. 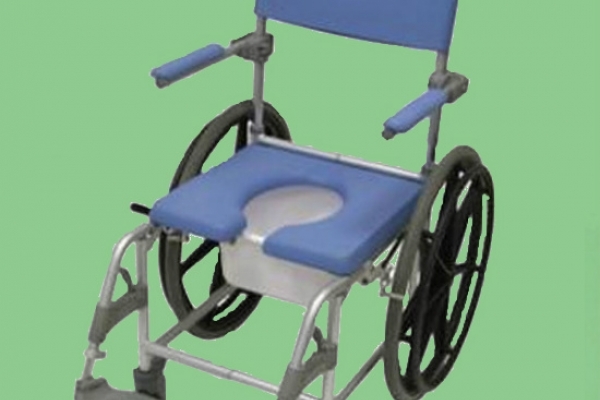 Can be used in the shower, or wheeled over a standard toilet. Footrests and back are both detachable. Height Adjustable. 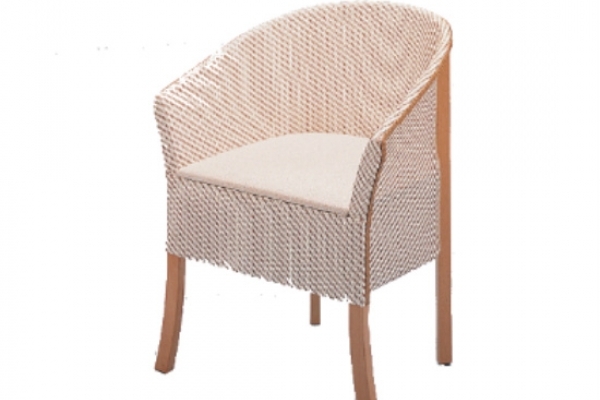 The Witham Cane Commode is a beautiful chair, and will not look out of place in any room with its white and gold Basket Weave design and Beech frame. 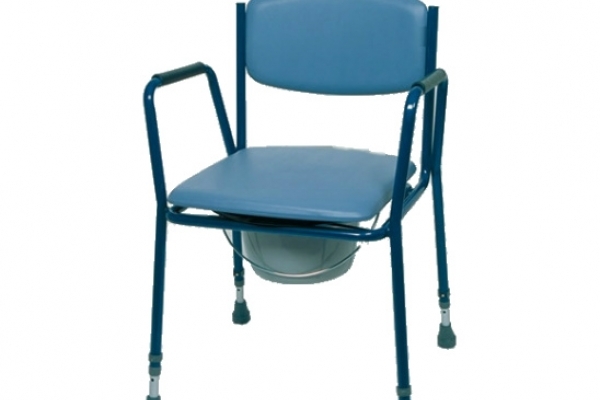 This Bariatric Commode features detachable arms and an adjustable height, and will suit persons up to the weight of 40 stone. 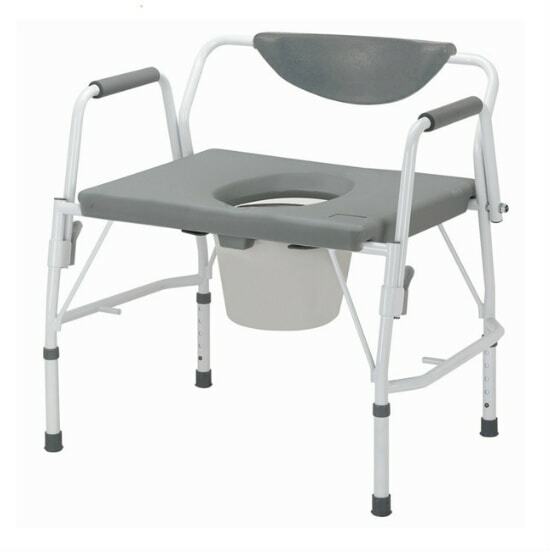 The Trent Bariatric Commode is a durable and sturdy commode, featuring a snap on seat, drop down arms, padded armrests and a 10 litre bowl. 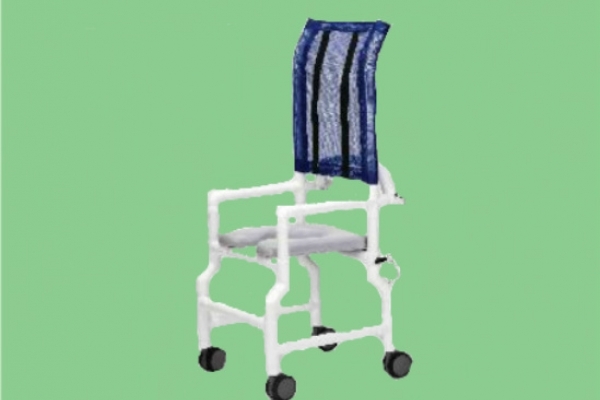 The Pacific Self Propelled Shower Commode is a versatile structure, boasting the capability of not only the user being able to support themselves with Self-propelled wheels, but also capable of being used as a shower chair and commode at the same time! 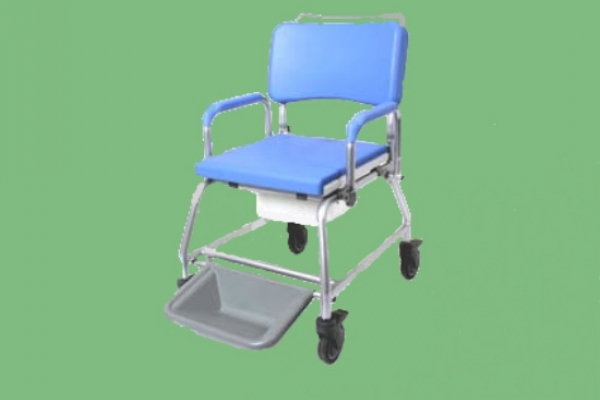 The Atlantic Shower Commode is manufactured from durable plastic coated steel and is stylish, easily manoeuvrable and very easy to clean. 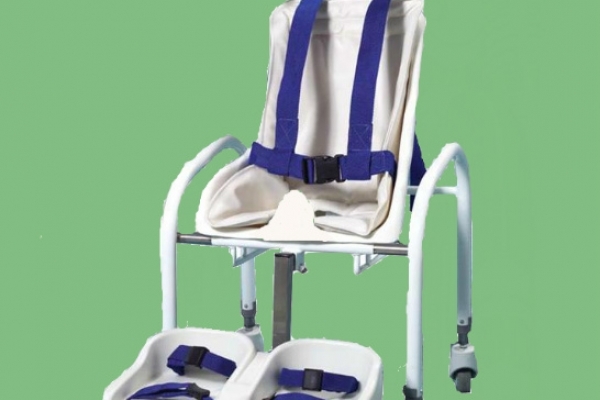 It is available in standard and heavy bariatric sizes. 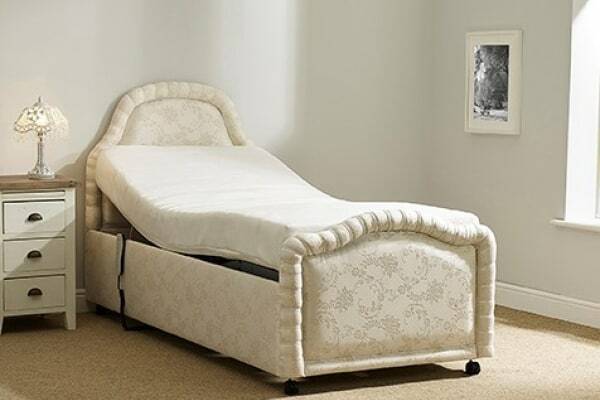 This is a bariatric model and comes with footrests.